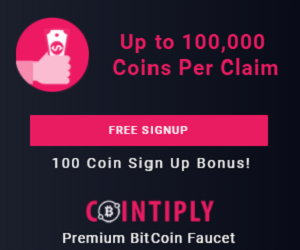 But the world of faucets has evolved considerably from the early days and there are now many sites out there that offer a wide variety of ways to earn bitcoins, aside from the traditional ‘click and claim’ model. 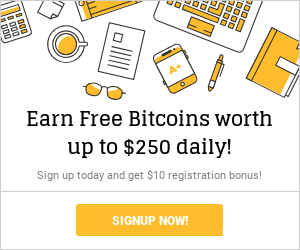 One such site is Coin Heaps (use this link for a sign-up bonus!) – a relative newcomer to the scene – but one that looks to have a promising future, assuming it comes up with a sustainable business model. 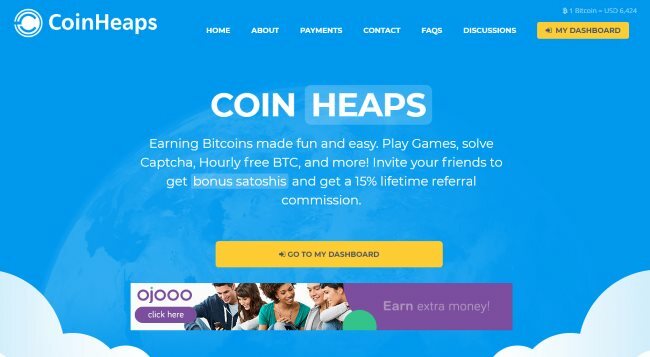 Coin Heaps is a professional looking site that’s clearly been designed with the user in mind. Yes, there is some advertising dotted around, but mostly it’s a clean interface that makes navigation a breeze. Aside from the traditional hourly faucet, you can earn generous daily pay-outs from playing simple – but actually quite addictive – games, converting Coin Heaps points to bitcoins and carrying out Captcha mining. The latter involves solving a Captcha in the traditional way while allowing your computer to CPU mine for a prescribed period. Doing this earns you bitcoin and Coin Heaps points. While this is a good idea in principle, we found during our tests that the mining power was automatically set too high meaning our PC fans were on full blast within minutes of starting – not the best way to treat your computer! Hopefully the owners will give users the option to adjust this at some stage. 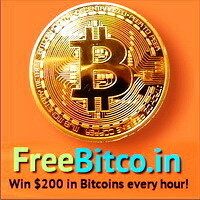 The games part of this site is intriguing because at the time of writing you could earn 100 satoshi for playing each game for two minutes. This is quite a generous pay-out rate and we hope this will continue. There is of course a referral system in place as well. This can be a very useful way of earning a passive income, especially if you can encourage a large number of people to sign up using your link. Even though you’ll earn a few coins per claim it can soon add up. We’ve not reached the pay-out threshold yet so we can’t say for certain whether this is a legit, paying site, or a scam. But everything about it that we’ve experienced so far suggests that it completely above board and there are proof of payments posted by users available to view. At the time of writing the minimum withdrawal amount was 30,000 satoshis. This seems quite high but it’s quite easy to earn on this site so it shouldn’t take too long to achieve. Coin Heaps is in many ways similar to another popular site – Cointiply. This is another hybrid site where you earn in proprietary coins rather than bitcoins, although when you withdraw your earnings are transferred into your bitcoin wallet. This site offers a multitude of ways to earn, including watching ads, PTC and a substantial mining game where you can quickly increase your haul of coins. We’ve already had pay-outs from Cointiply so we can confirm it’s legit. The earning rate is also extremely generous and at the time of writing was far more competitive than many of the other sites out there. Use the following links to sign up to Coin Heaps and Cointiply then let us know what you think of them. We’re looking for as many comments as possible so we can write a follow-up piece based on the experiences of a broad selection of users.